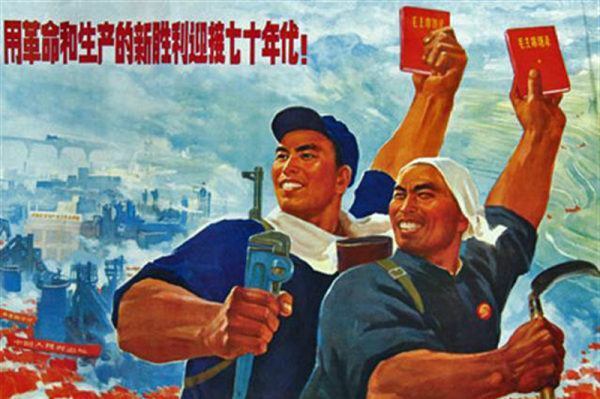 Libcom.org's reading guide on China, China's history and the working class movement in the region. A few sources in Chinese and other languages are listed at the bottom; the others are mainly limited to English. In the interest of space, we are not including articles, except the list of recommended articles on Libcom. Some books appear in more than one list. * Below the Winds: What Do the Island Disputes Really Mean to Vietnamese & Chinese Workers? * Scenarios of the Coming Crisis: A Response to Aufheben’s “The Crisis: Afterword"
* Should wives be shared or rationed? * China in crisis: reason to panic? "a collaborative initiative to research and articulate the infrastructure and ‘externalized costs'—human, economic, social and environmental—of the international goods movement industry..."
"Monthly round-ups of news about the class struggle in East Asia." * Welcome to the Chinese Century? * Meisner, Maurice. Mao’s China and After: A History of the People’s Republic, Third Edition. (New York: The Free Press, 1999) - on Google Books. * Sheehan, Jackie. Chinese Workers: A New History. (London: Routledge, 1998) - on Libcom here. * Wu, Yiching. The Cultural Revolution at the Margins: Chinese Socialism in Crisis. (Harvard University Press, 2014) - on Libcom here. * Dirlik, Arif. Anarchism in the Chinese Revolution. (University of California Press, 1991) - on Libcom here. * Han Shaogang. 2005. A Dictionary of Maqiao. * Ma Jian. 2008. Beijing Coma. * Mo Yan. 1995. The Garlic Ballads. * Wang Shuo. Please Don't Call Me Human. * Yu Hua. 2007. Cries in the Drizzle. 1. See Prol-position's discussion of this book here. 2. See Husunzi's long critical review here.